We all want to sell our stuff the easy and simple way which is hassle free and less cost. And this mode of selling only could come through selling your car online. Although these are the benefits we look forward to there are also many disadvantages which would make you think twice before selling your car online. As you know the cost of the car would not be a cost of a fidget spinners. Therefore you are attempting to have a deal with someone for a heavy load of cash. These transactions could be risky as there are so many spammers around and your advertisement is actually open worldwide to the whole globe. Therefore you do not have a specific control over who would actually come across your advertisement. Below are few reasons on why you should not sell your car online. How sure are you that the cash you receive in hand is genuine and not fake? You surely are not going to check it up through a detector. By accepting cash in hand from a total stranger could lead you into trouble. Even if the cash is the genuine type, you have invited a stranger to your home. You made someone already know that there is a big some of the cash at home. Now, what guarantee do you have believing that you want to be robbed that late evening? As this has been happening in many places, taking precautions and avoiding it is the best you could do. How far could you actually trust the guy who bought your car? Even if your cash is transferred online, you are yet at risk as there are plenty of scammers waiting to attack you. No one can literally promise you the fact that, your car will be surely sold if you post your advertisement online. After waiting so much time and effort to clean your car up and take attractive pictures and write up the description plus specifications, you might even never find a true buyer. With no buyers, you are wasting your time hoping each day and eating the time of your car too. It is going to be very difficult if you have a routine lifestyle which avoids you from having less free time. As buyers would want to meet you up and have a look at your car. Setting up a time and date could be really difficult to this situation as finding a time when both of you are free could be rather a difficult procedure. Even after all that meeting up has been organised and occurred, you still may not be able to actually sell your car. Not everyone is blessed with time. And it will not be easy for you to make time to wash your car to a sparkling form both inside and outside, take pictures, writing the advert with descriptions and specifications, spending time and money for phone calls are all very time to consume which may not lead you anywhere to guarantee that you will be able to sell it. These above reasons would want you to really think twice before starting to sell your car online. 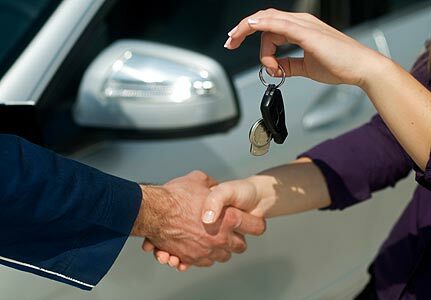 There are so many cars resellers in Melbourne who are known to do a great job in helping people to sell their cars.